Resident sat down with Tony Vincent of Rocktopia to gain insight into this unique musical. 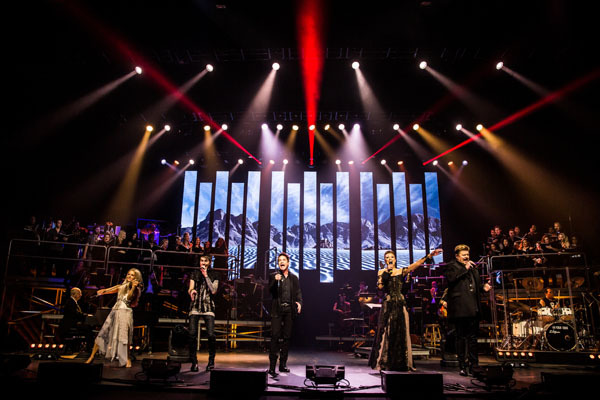 Tony Vincent of The Voice, Jesus Christ Super Star, and American Idiot fame is back on Broadway leading the musical concert Rocktopia, which blends opera, classic rock with classical music for an evening you won’t soon forget. 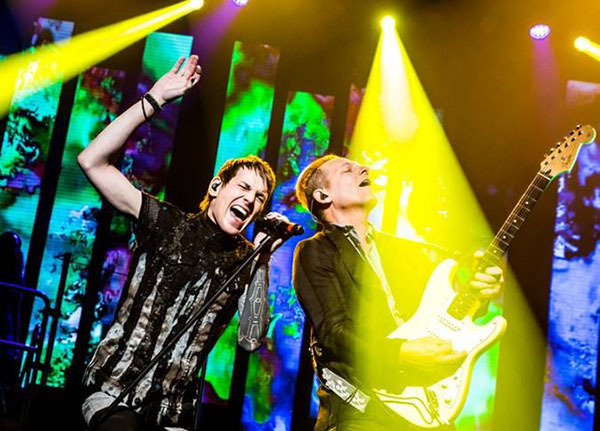 Rocktopia features some goose bump worthy vocals. How would you describe ROCKTOPIA to a friend? 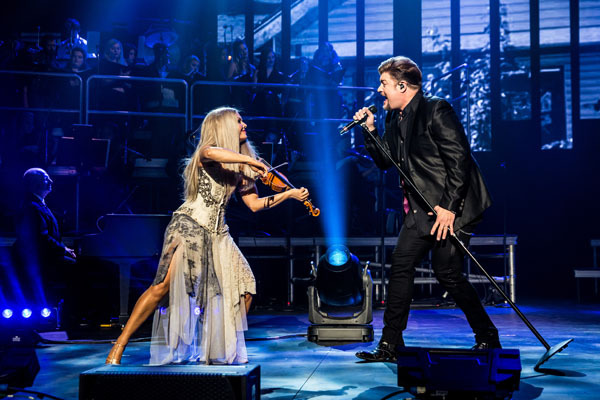 Rocktopia is a merging of some of the most iconic rock songs combined with some of the most well-known classical pieces— performed in an epic format by some of the most talented vocalists and musicians around. Where did the ideas for what music to mashup come from? Where did the genesis of this project stem from? Rob Evan— who is the co-creator of the project— introduced me to the concept after having seen me in Green Day’s American Idiot on Broadway. He wanted this idea (the merging of the classical and rock worlds) to be presented by some of the unique vocalists and musicians so that each genre is represented in an authentic way. I’m honored to be part of this production… It’s real, in-your-face and makes no apologies for being authentic to each place and genre that the original music originates. So far, the show has had special rock guest artists Pat Monahan of Train and Twisted Sister’s Dee Snider, and will soon have Cheap Trick’s, Robin Zander. Did the show change at all when they were part of it? Each of these men brings their own feel, vibe, and energy to the show. 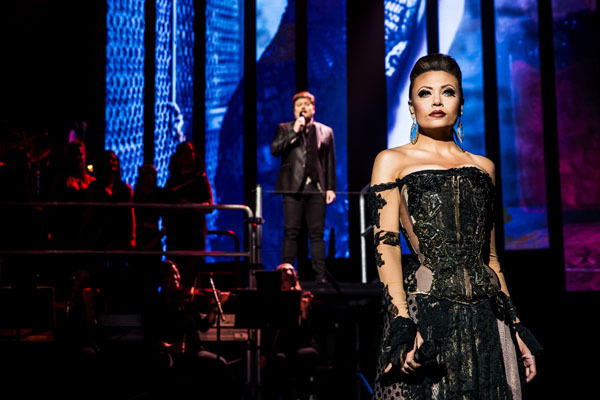 Obviously, each “version” of the show will be different— but as a fellow vocalist and musician, that’s part of the joys of getting to work with the talent that has joined us during our Broadway run. Everyone does what they do— so each performance can have a different feel as per who is joining the original set of vocalists. Who would your dream guest artist be to join the show? Is there a song you are particularly fond of in the show? I grew up on British Rock and Pop music— and it still influences me as a songwriter and vocalist. I’m fortunate to be “that guy” that covers most of the Brit-Pop/Rock material in the show. From Pink Floyd to MUSE to Queen…I enjoy much of the material in the show. That being said, working with Queen on their theatrical “We Will Rock You”— and having performed Bohemian Rhapsody with the band for Queen Elizabeth’s 50th Anniversary (The Golden Jubilee Live from Buckingham Palace)— getting to close the show with “Bo-Rhap” brings back many fond memories. If you could add a song to the show, what would it be? What kind of music did you grow up listening to and being influenced by? My father had an extensive record collection and I remember hearing “Hard Days Night” when I was 4-years-old. It was really from that point on that I knew that whatever I was hearing come out of those cheap RadioShack speakers I wanted to do for the rest of my life. That may sound silly, but it’s true. I’ve never looked back once. How does ROCKTOPIA differ from your previous Broadway (JC Superstar, We Will Rock You and American Idiot)? Well, there’s technically no “book” (storyline) per se in Rocktopia… It’s full-on music from top-to-bottom. That’s the primary difference I believe. How do you prepare each night for the performance? 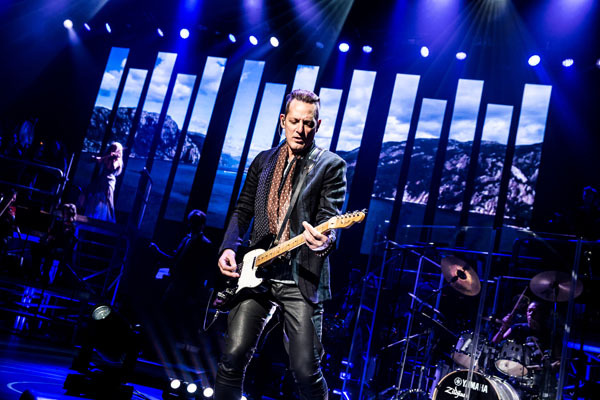 I just make sure I’m vocally warm before each show… a shot of scotch doesn’t hurt either! Closing the show with “Bohemian Rhapsody”. I have such great memories associated with that song, it’s great to revisit this tune once again.